Finn is a young boy who is quite lonely. One day, he comes across a cat named Puss, who is lost. Her takes her in and looks after her, and the two become very attached to each other. 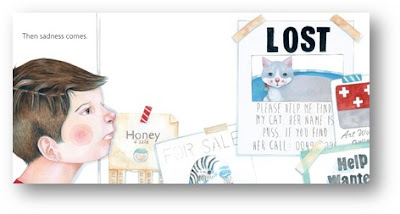 Then, shortly after, Finn notices a sign put up by Puss's owner, and he needs to make a difficult decision..
Will Finn be able to part with Puss, or is their bond too strong to break? This is a book that is suitable for early readers as it doesn't have a lot of words, and the story is quite simple to follow. It teaches children the importance of decision-making, and also shows that doing things that are right even if it doesn't seem like it at the time, can have it's own rewards. 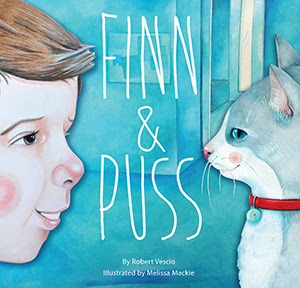 Finn And Puss is released this October through EK Books.